Except from many other things, we excel at TV studio installations. 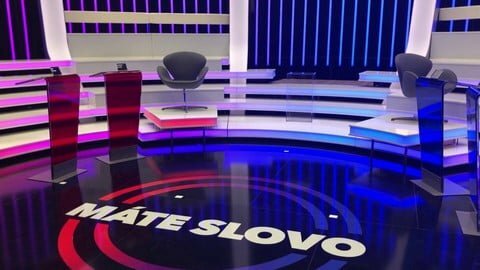 Together with our long-term business partners from UnGroup Creative Studio, we were tasked to build a decoration for popular TV show “Mate Slovo”. But not just any decoration! Usually, two or more episodes of a single show are shot at the same time for effectivity. Then a different show, then another show, and it goes on and on. The most important feature, apart from great design, was the ability to build and dismantle the whole set within 3 hours. Usually, we are building fixed decorations. This time, we had to figure out how to connect all parts but also allow for easy access for building and dismantling. 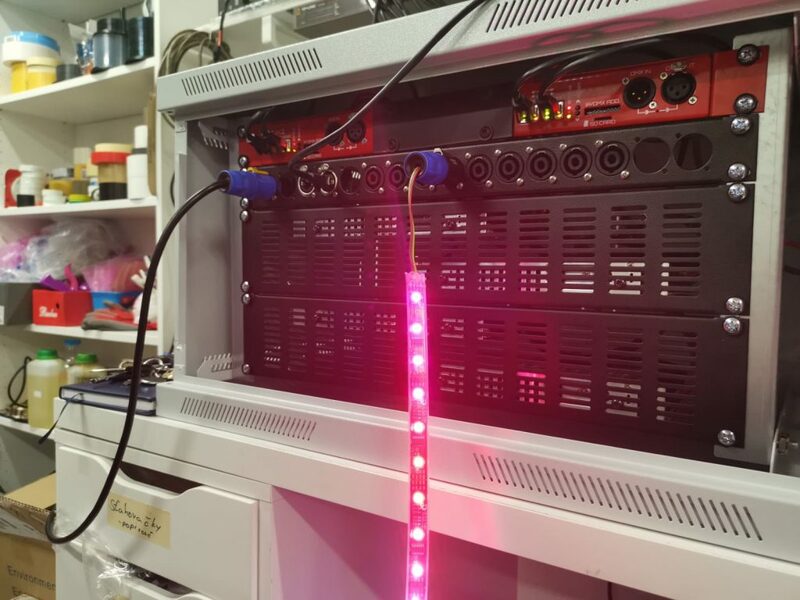 At our workshop, we put together 3 standard server racks with all power sources and our LEC3 digital LED controllers. Each rack had 9 SpeakON ports for each part of the set that goes into specific rack. One was dedicated for power injection and remaining for signal. It was like playing with a Lego kit. Bit more complicated though. With more wires, concerns about airflow and size of the box. The final design impressed us. It had all parts needed and it looked very slick. One of the racks ready for business. The whole set consists of 6 tall ribs, each with two lines of strips. Well hidden under diffusing cloth, each strip had 5,5m and 42 diodes/meter. Each rib, that we soon started to familiarly call “Banana” was connected to one of 3 racks. Between the 6 ribs, we placed 5 frames with 12 and 13 vertical profiles. 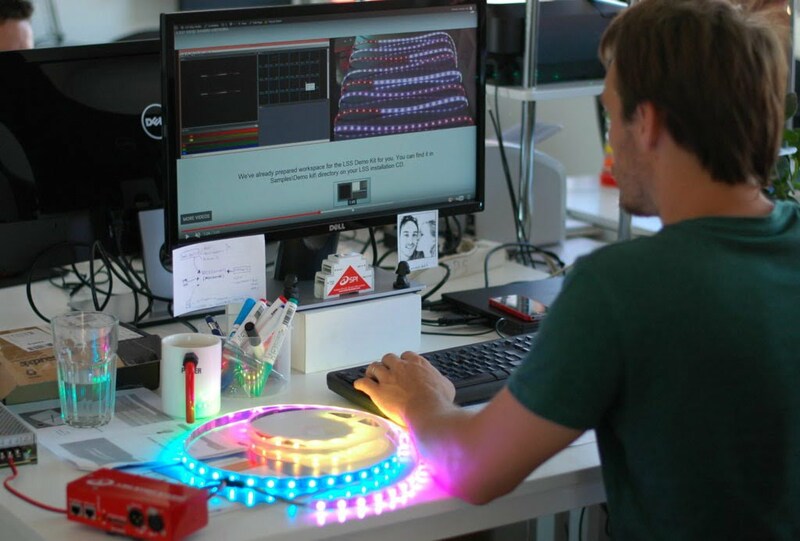 Each profile had 2 m of 42 diodes/meter LED strip covered with plastic diffusion plate. Again, with its own SpeakON slot in a controller rack. 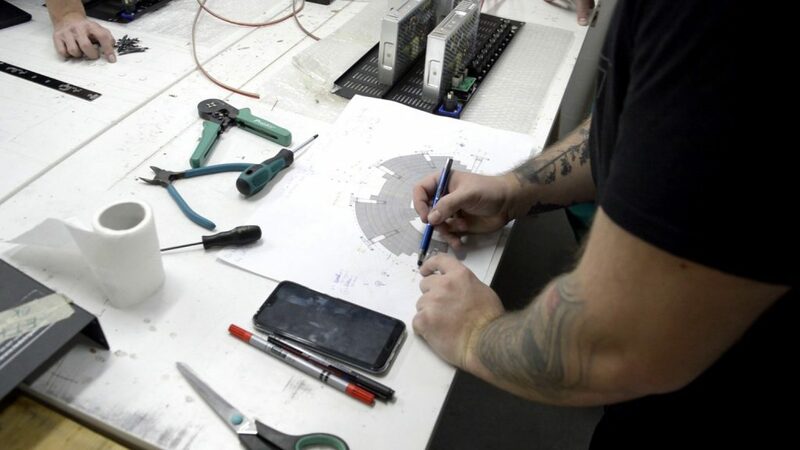 Blueprint of the installation at our workshop. Between the frames and the “Bananas” are 6 stairs. These serves as sitting for audience that is part of the discussion in the show. These are again detachable from one another and every part is connected to a dedicated port in our controller rack. In total we used 65m of pro digital LED strip with 42 diodes/meter. Two smaller pieces serves as raised sitting places for two most important quests. So, two more slots in a rack a pretty long cable. Installation of Ribs and Vertical Profiles. 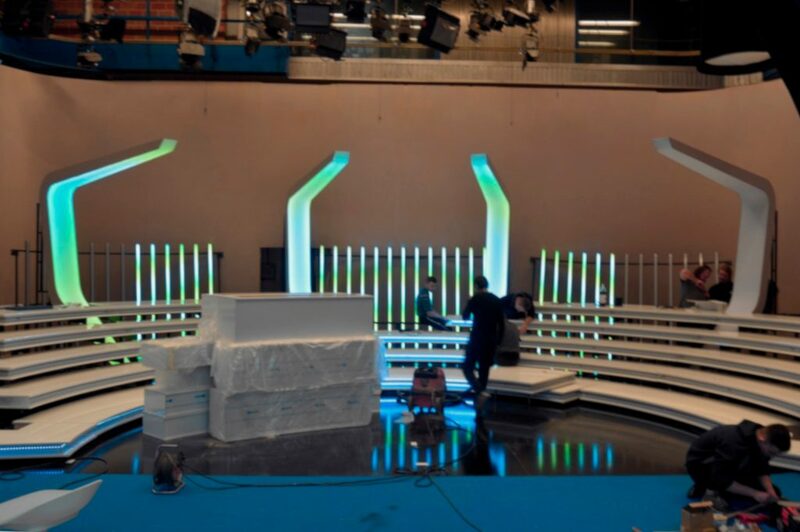 To sum it up – the whole TV studio set consisted of 16 pieces. In total, we used 200 m of power cables, countless cable ties, few curses, 260m of digital LED strips. Operators in studio decided to control the whole set with our LED Strip Studio software. A single training and technicians at the studio control room were able to operate the set easily. Completed studio with logo of the show on the floor.